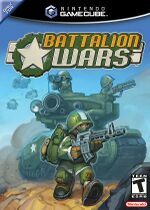 Battalion Wars is a subseries of games in the Wars series. It has two installments, Battalion Wars on the GameCube, and Battalion Wars 2 on the Wii. Battalion Wars is the first subseries since Super Famicom Wars to be released on a Nintendo console. The armies in these games are based on real life armies, as follows: Western Frontier-USA; Tundran Territories-Russia; Solar Empire-China; Anglo Isles-Great Britain; Xylvania-Germany. This article is a stub. You can help Wars Wiki by expanding it. This page was last edited on 27 March 2019, at 21:31.